The United States have already had the pleasure to meet HTC's DROID DNA, while certain Asian countries and Russia have got the HTC Butterfly. It's now time for the rest of the world to be treated to a 1080p smartphone by HTC with the company's new flagship, dubbed simply One. Running on a Qualcomm Snapdragon 600 chipset with four Krait 300 cores clocked at 1.7 GHz, 2 GB of RAM and Adreno 320 the One has a serious stake as one of the best-powered around. The display is a 4.7" 1080p unit backed by the Super LCD3 technology and offering the whopping 469 ppi pixel density. The bezels are very thin, making for smartphone notably smaller than the DROID DNA / Butterfly. Either side of the screen lie stereo speakers, which are allegedly pretty loud. According to HTC they output 93 dB of sound. 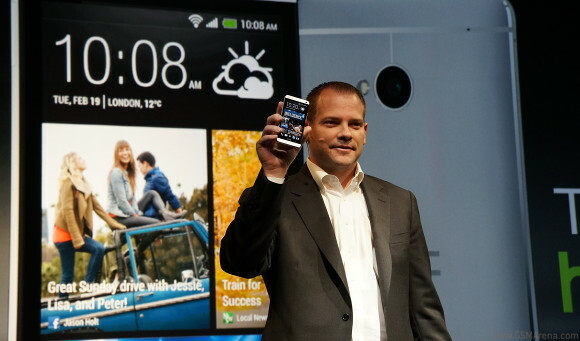 The HTC One is set to premiere Sense 5 - the latest version of the company's custom launcher. The homescreen has been redesigned into something of a mix between Sony’s Timescape and Windows Phone’s live tiles with social networking updates and news feed populating a vertically scrollable screen. Inside the phone is a 2,300mAh non-removable battery (that’s nearly 300 mAh more than the Butterfly has). Of course, the biggest innovation on the HTC One is the camera – behind the bright F/2.0 lens sits a 4MP sensor with Ultrapixels, which are much larger than the ones found in most other smartphones and should have much better per-pixel quality and low-light performance. Design-wise the HTC One looks somewhat like a BlackBerry Z10 but uses an aluminum unibody, which looks really impressively. We're now going out hunting for live photos of the HTC One and we will be posting them on the following pages soon. Stick around. Thks for this great review. 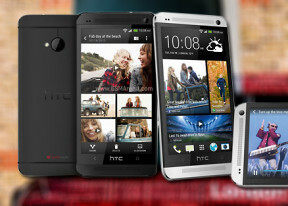 HTC One is gonna be my next phone. As a SONY fan, i gotta say that this one is a great phone. Getting even more jealous of it's benchmark results. The only minus to me is no expandable memory.